Computer security threats are clever, insidious and cause untold amounts of harm to innocent people and businesses alike. Knowledge is power, however, so the best way to protect yourself against complex security threats is to work with those in the know, the best technicians possible who are dedicated to winning the war against those invisible demons who steal, disrupt and damage! 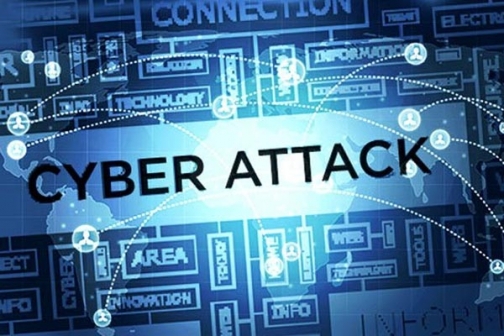 Examples of online cybersecurity threats include all of the below but don’t panic, IT WIFI are experts in minimizing the risks and threats, so you can sleep well at night safe in the knowledge that good can triumph over the evil in the cyber-war. Human viruses are bad enough but when your computer is hit by one, it can be almost more stressful! Most computer viruses are not well-intentioned and are created to disrupt and alter the way your device works, without your knowledge, causing damage in the process. They can be spread quickly and easily and often look like nothing more than an innocent email or download from a known contact – so pretty tricky to spot. Although most web browsers have security settings to defend against online threats, the best and most effective method of defending yourself against viruses is making sure you have up to date anti-virus software from a well-known and reputable company. As the saying goes, ‘prevention is better than cure’ so checks your anti-virus software today! Spyware is one of the things we like the least…it’s super-stalky, monitoring your online activities and installing programs without your consent for profit or to capture your personal information to either sell on or gain from in another way. Not cool. You can help protect yourself by being savvy when signing up for services/ downloading Apps etc. Often, narcissistic programmers, hackers and predators are the invisible bad guys roaming the web executing cybercrime and victimizing innocent individuals and businesses by hacking into computer systems purely for their own personal gain and advantage. 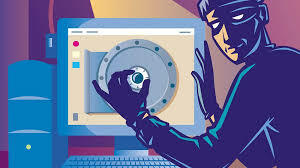 To protect yourself against these conscienceless predators keen to carry out online attacks, the first line of defence must be installing grade A, online security tools with identity theft protection. 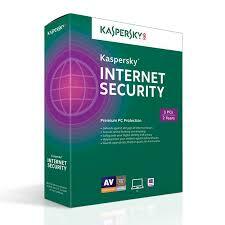 We at IT WIFI highly recommend installing Kaspersky Lab anti-virus software to ensure systems protection from the latest threats. Not to be confused with the relaxing hobby ‘fishing’ 😊…Phishing is masquerading as a trustworthy person or business in the blatant attempt to steal sensitive financial and/or personal information through deceptive emails. Sadly, it has one of the highest success rates for cybercriminals – chances are you or a close friend has been a victim in the last few years. Good news is antivirus solutions with identity theft protection exist and can be “taught” to recognize phishing threats in a milli-second. Although it sounds bad, all of the above can be prevented by installing robust software and being aware of the risks so call us today and we can help you stay safe and secure online. Setting-up a secured backup system in place is also a major technique to follow to ensure your personal and/or business data is safe hands and secure so you won’t have to stress about it. Should you need to know more about our secure backup services; feel free to call us on 1300 IT WIFI and one of our friendly techs will discuss it with you under no obligation.